Very few Norwegians are as famous internationally as the playwright Henrik Ibsen (1828-1906). A controversial figure in his time writing dramas decribing the tragic lives of the bourgoisie. Henrik Ibsen chocked his time through plays as "A Dollshouse" where he allows the main character to rebel and leave her husband, or through the dark secrets revealed in the drama "Ghosts". The latter describing a family secret and its effect, venereal disease, in a wealthy and very sinister family. This brilliant artist enjoyed, in spite of his dealing with controversial issues, considerable fame and respect in his time. 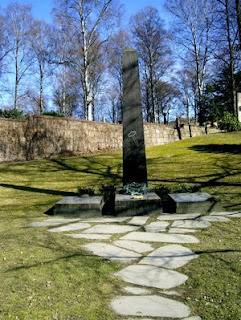 He spent his last years in Christiania (the old name of Oslo) until his death in 1906.